One of two entrances to the display. 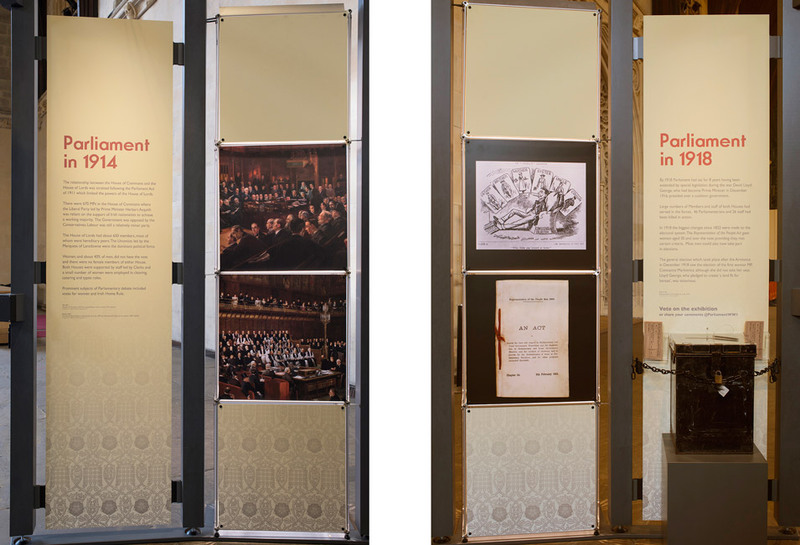 Section dealing with the changes in Parliament and parliamentary democracy that occurred during the war years. 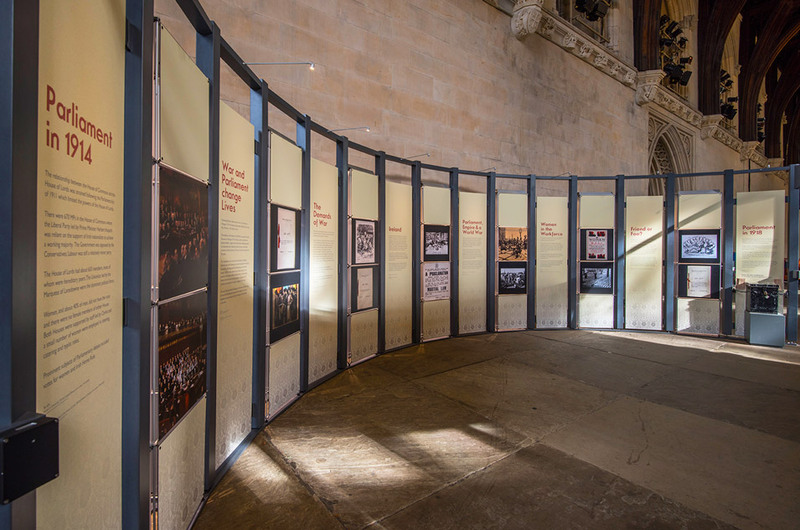 Section dealing with stories of men and women connected to Parliament whose lives were affected by the outbreak of war. 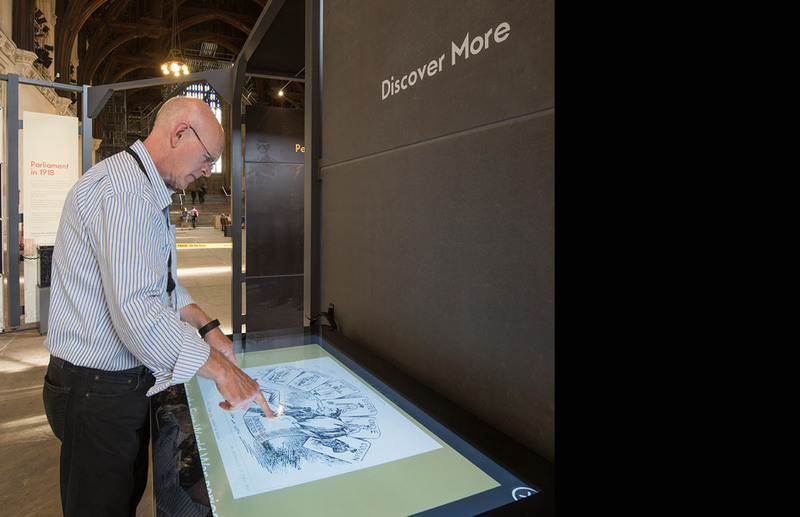 Detail showing multi-touch table in use. 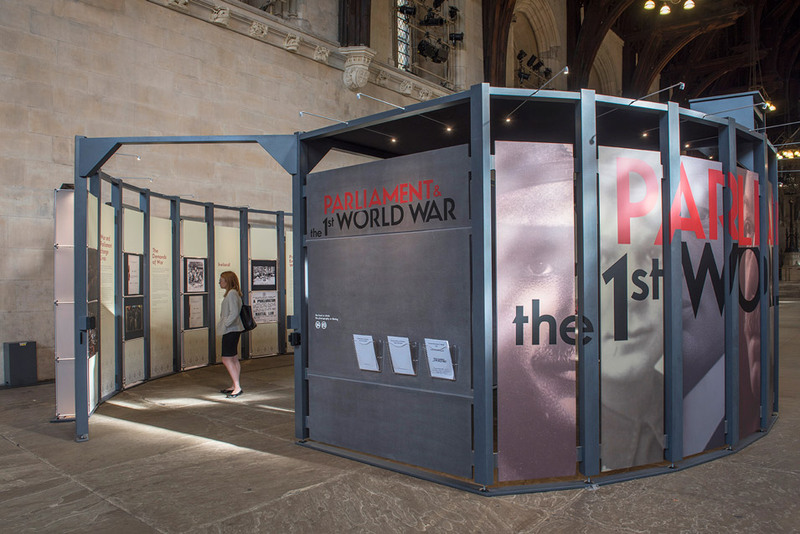 Located in the beautiful Westminster Hall this temporary exhibition explores the impact the first world war had on Parliament, democracy and the lives of ordinary people. 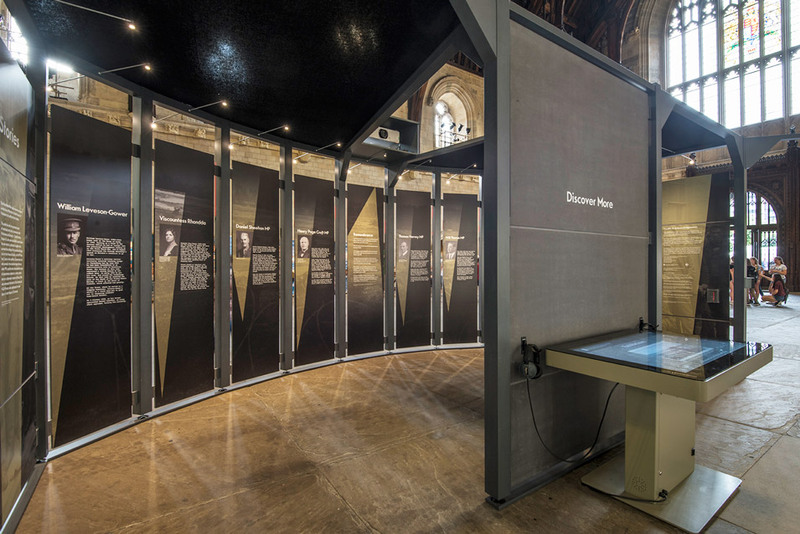 The exhibition includes a multi-touch table that allows visitors to examine documents, paintings and artefacts chronicling the changes in Parliament and parliamentary democracy that occurred during the war years. 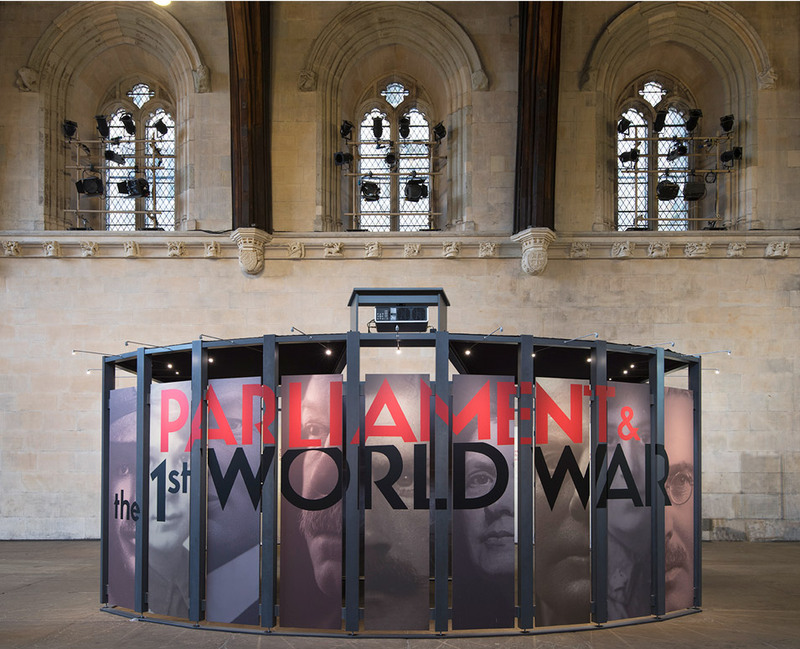 Visitors can also see a special light projection featuring the names of the Parliamentarians and Parliamentary staff who lost their lives during service. 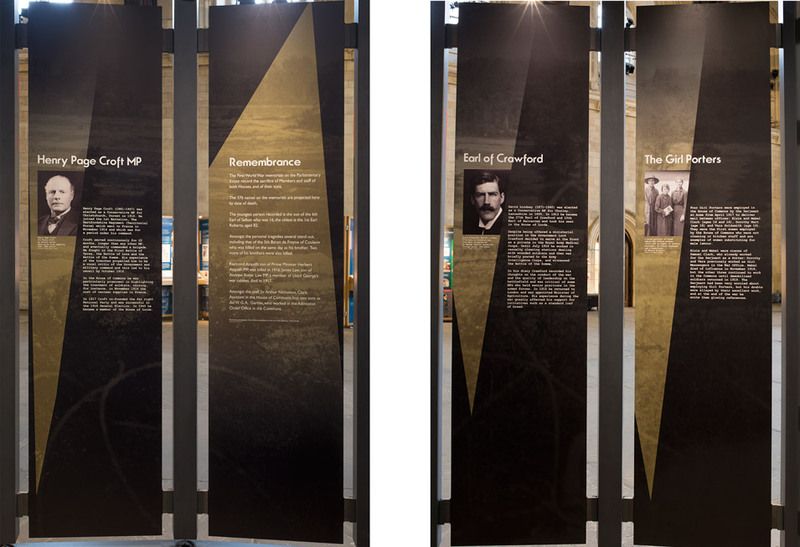 Role: Exhibition graphic design, artwork and installation monitoring. Design and artwork for Exhibition leaflet, postcard and poster.